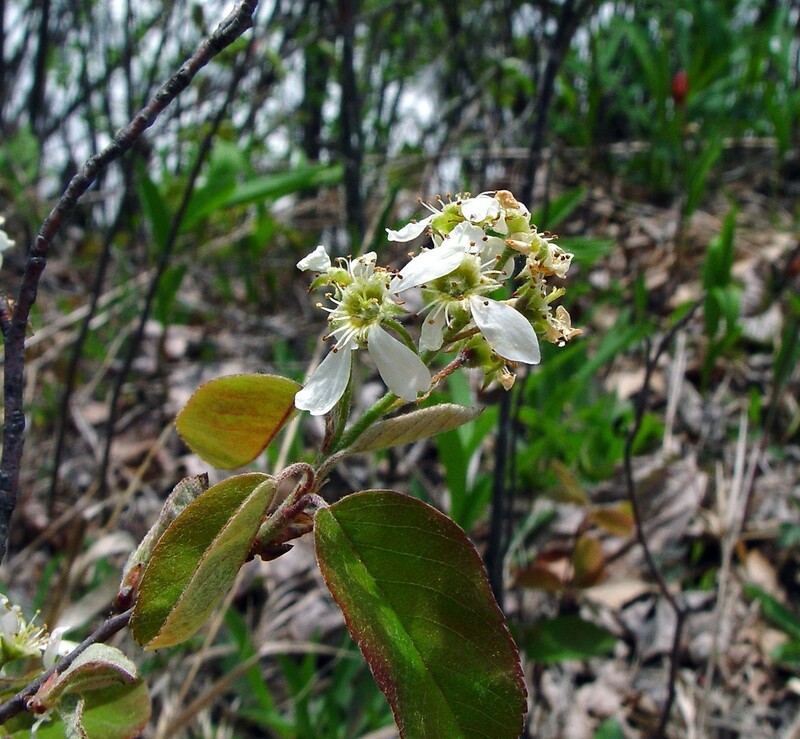 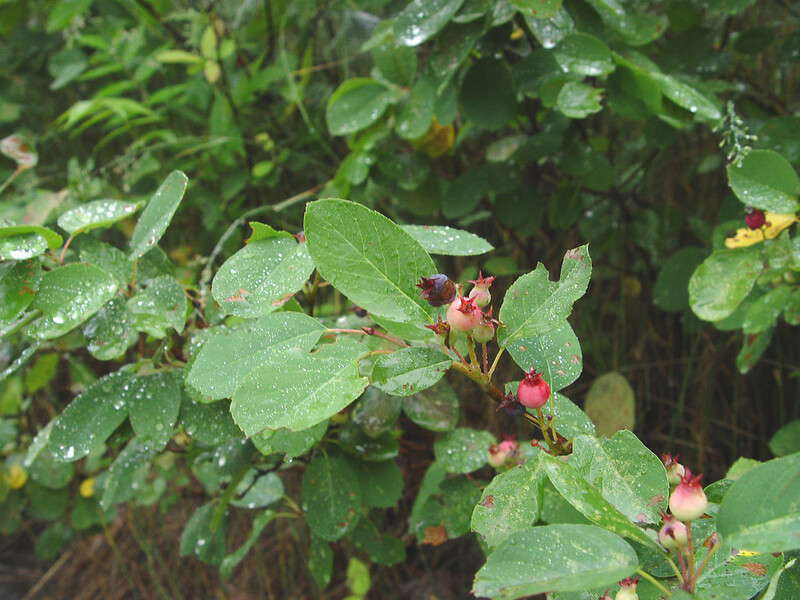 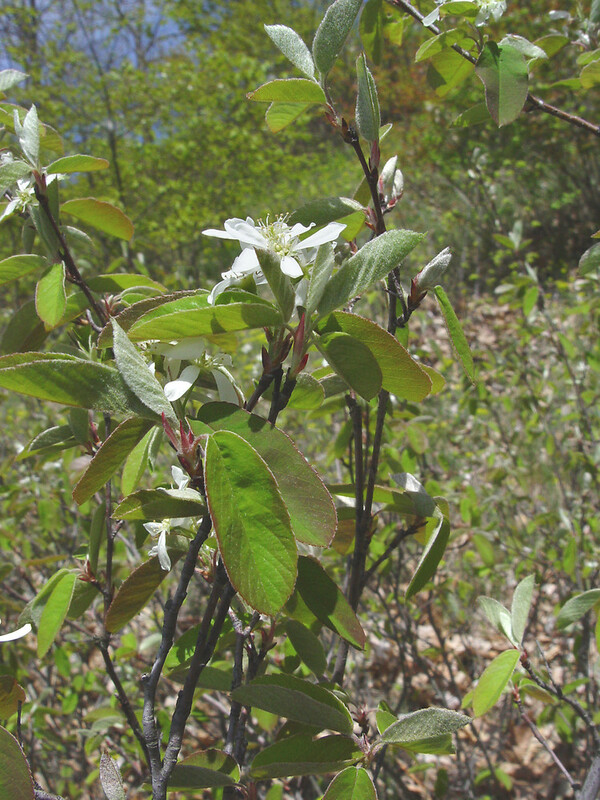 Dwarf shadbush forms dense, low thickets through the production of many upright shoots from the underground stems. 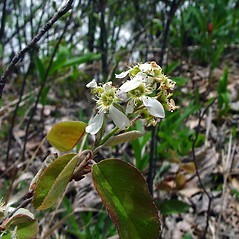 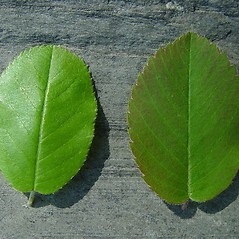 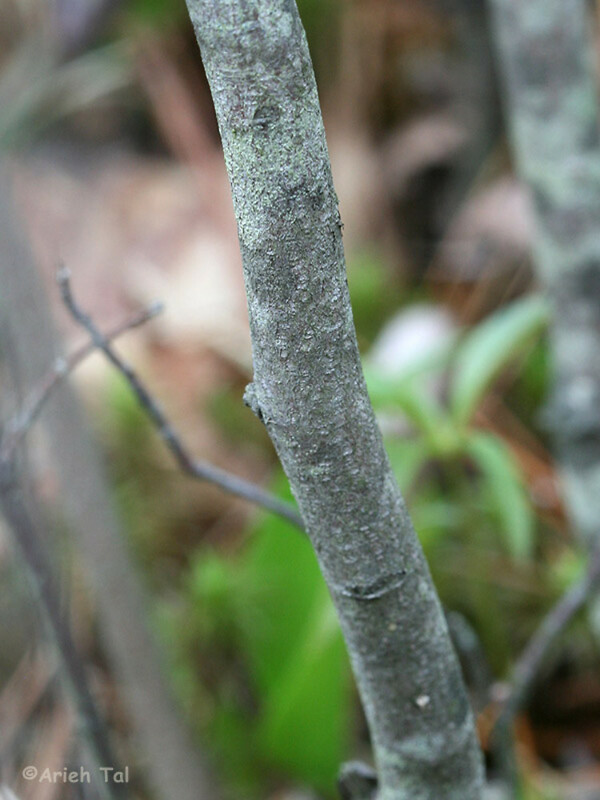 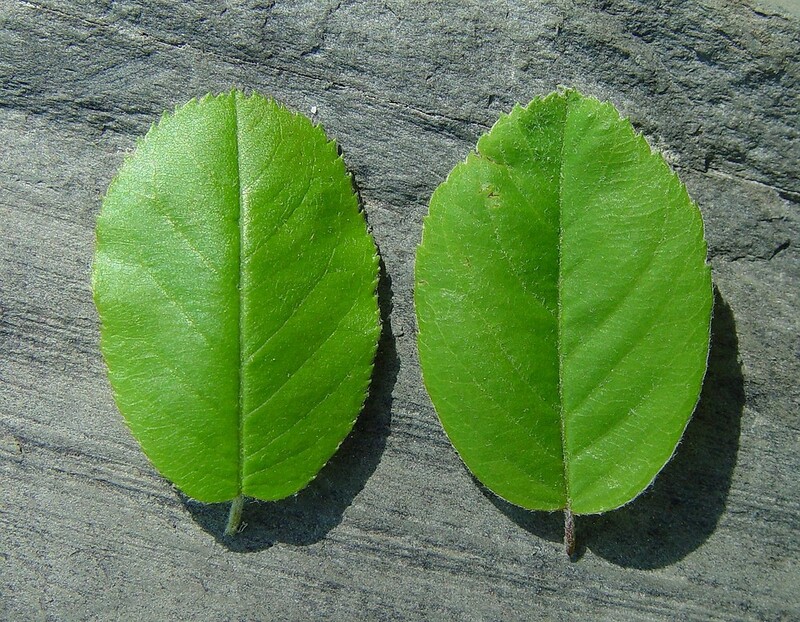 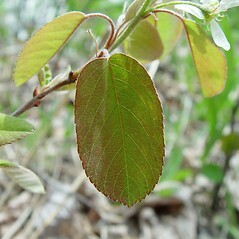 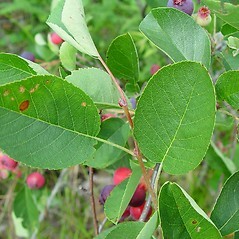 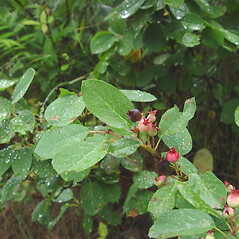 The rounded leaves are finely toothed and criss-crossed with veins that do not extend into the teeth. 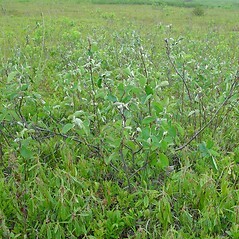 Useful as a hedge planting because of its tendency to spread. 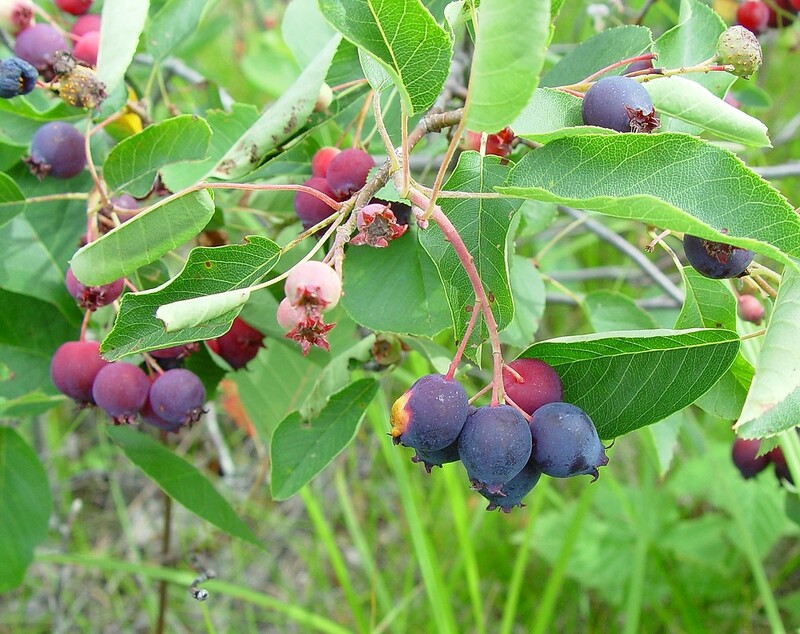 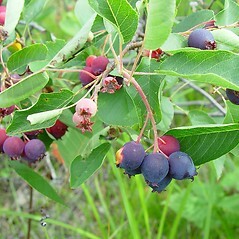 The reddish fruit, which turns deep purple-black when ripe, attracts birds. 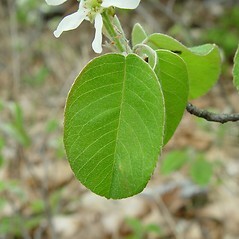 flowers borne in a fascicle of 1-4, leaves with stalks 2-10 mm long, and leaf blades tapered at base (vs. A. spicata, with flowers borne a raceme of 4 or more flowers, leaves with stalks mostly longer than 10 mm, and leaf blades rounded to truncate at the base). 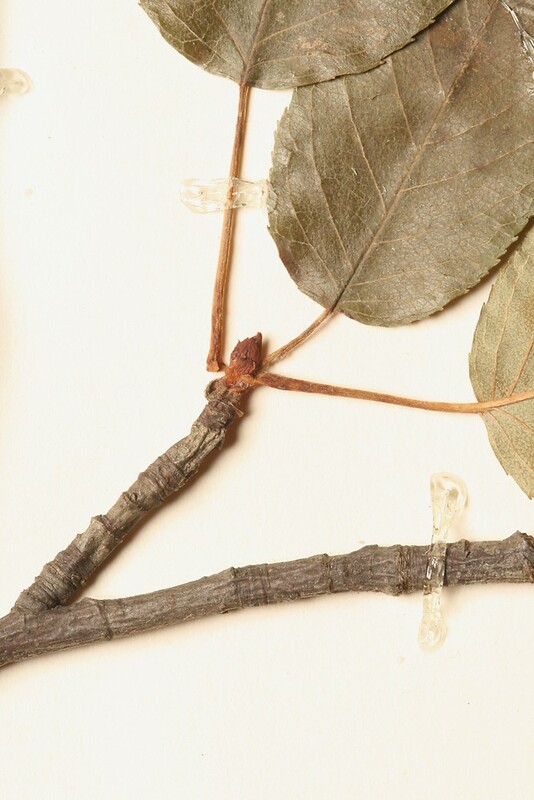 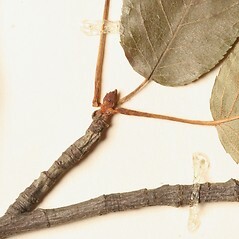 primary lateral veins on leaf blades straight or branching once or twice, extending into the teeth, and fruit 5-8 mm long (vs. A. spicata, with primary lateral veins on leaf blades anastomosing before reaching the margin, not entering the teeth and fruit 7-12 mm in diameter). 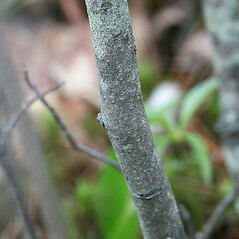 dwarf shadbush. 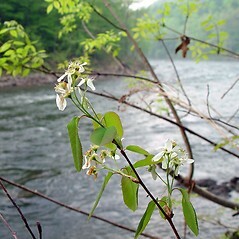 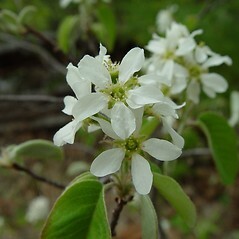 Amelanchier stolonifera Wieg. 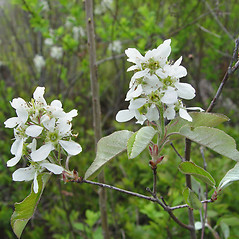 ; Crataegus spicata Lam. 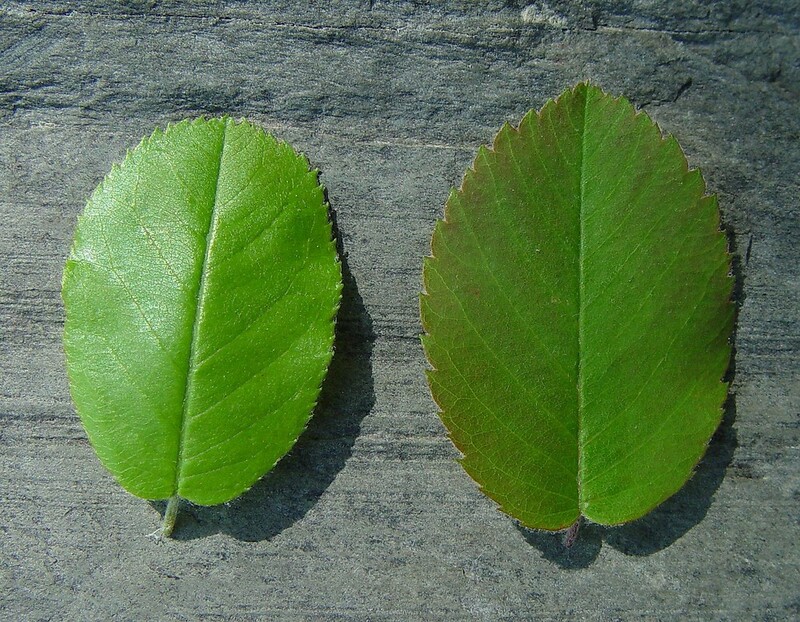 ; Pyrus ovalis Willd. 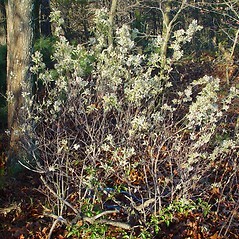 • CT, MA, ME, NH, RI, VT. Fields, roadsides, forest edges, woodlands, sand plains, open rights-of-way, balds. 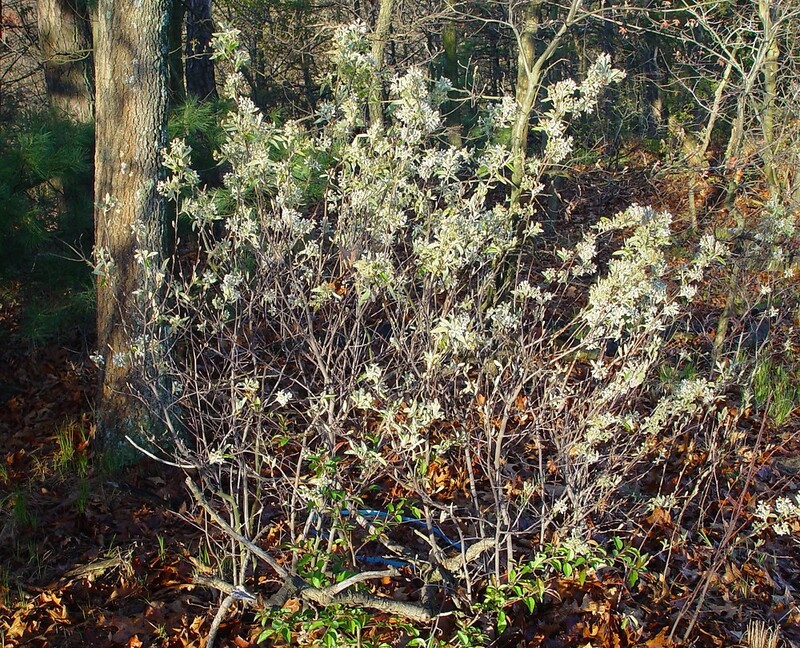 The correct name for this low, colonial shadbush has long been debated. 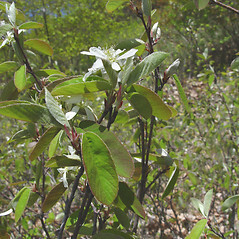 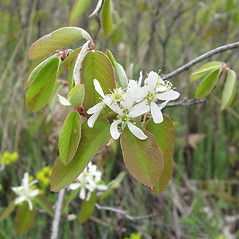 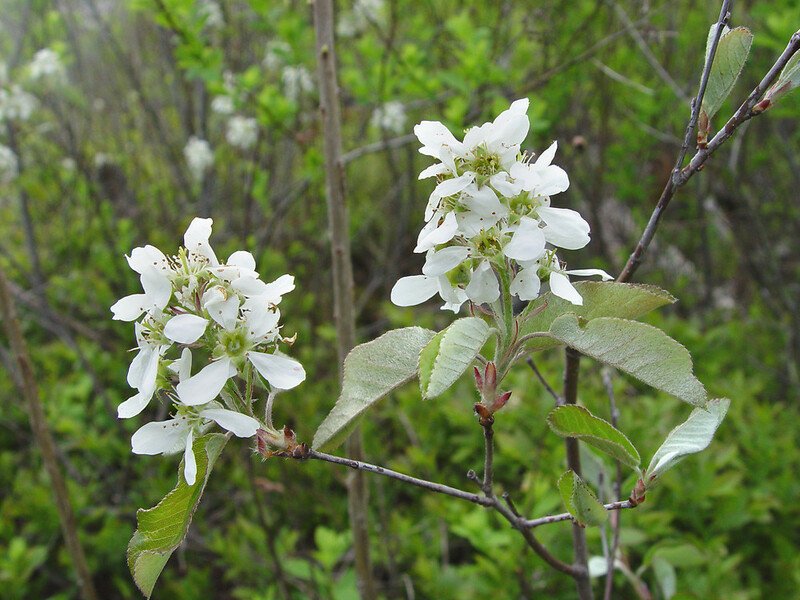 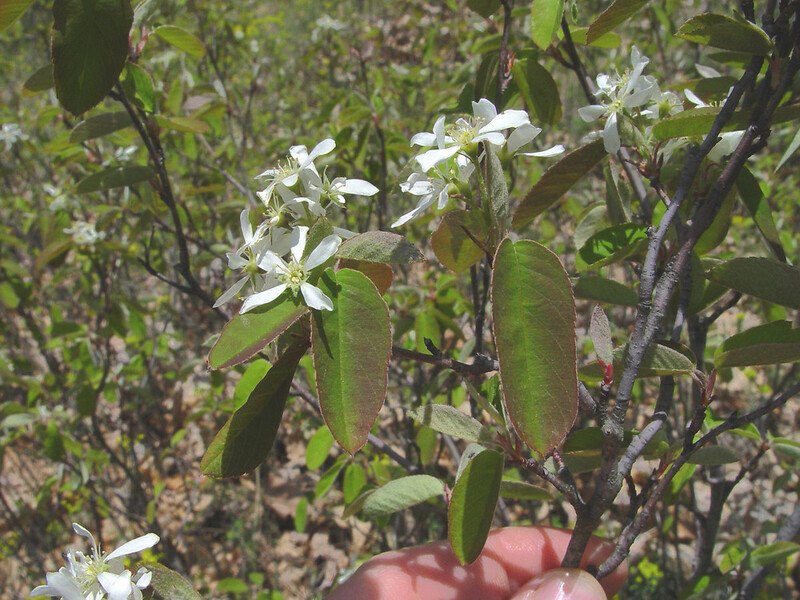 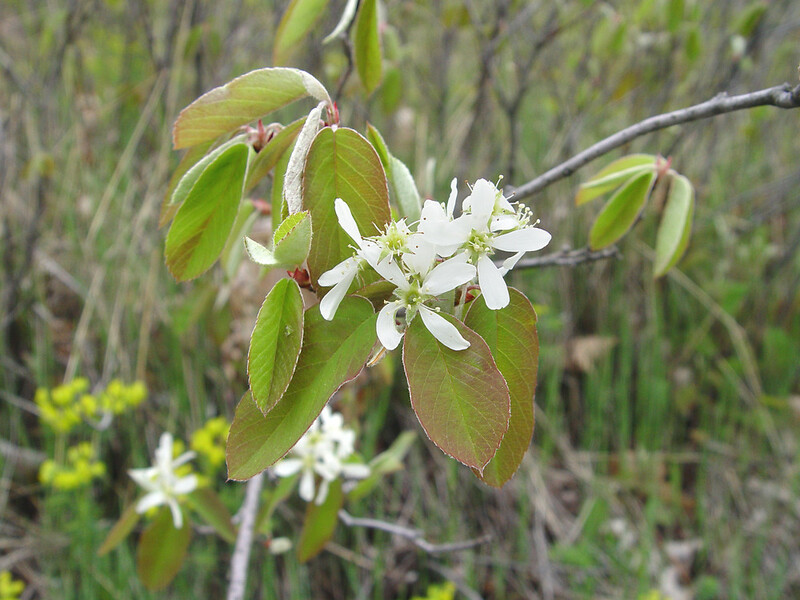 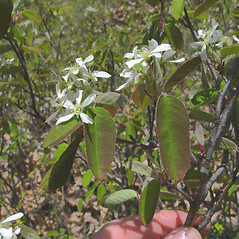 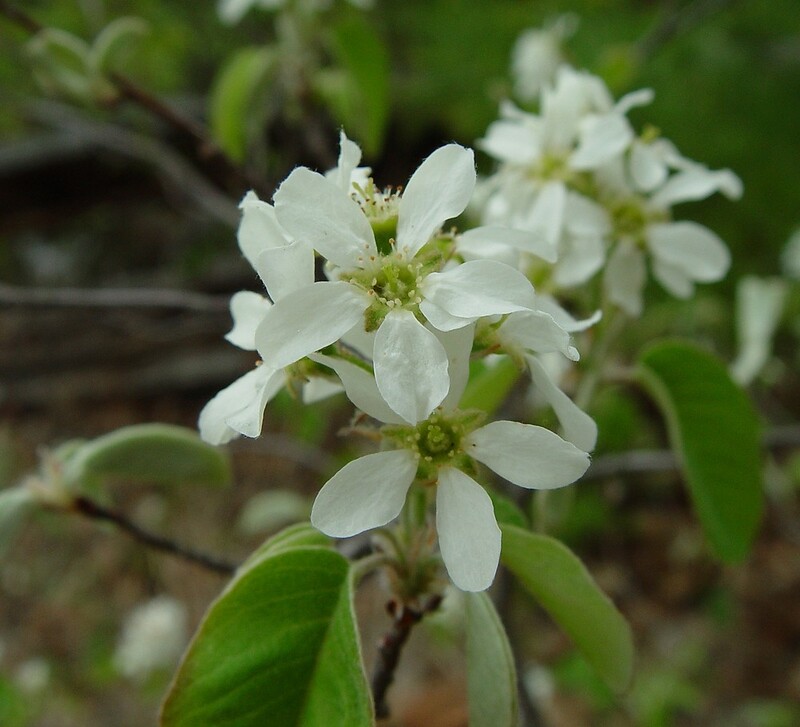 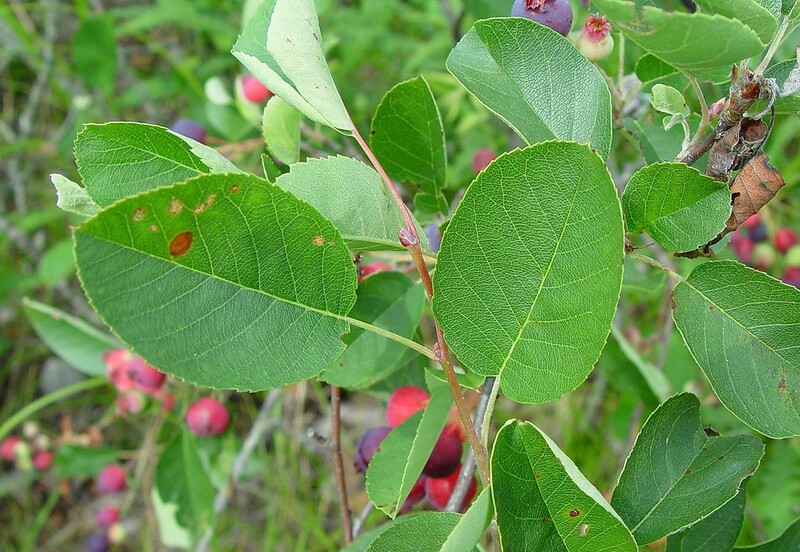 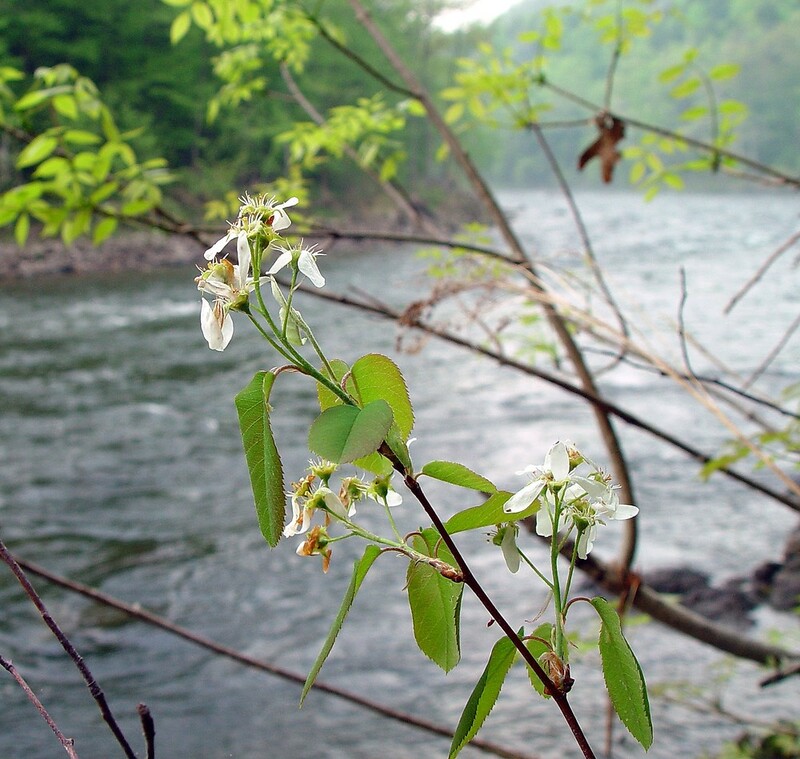 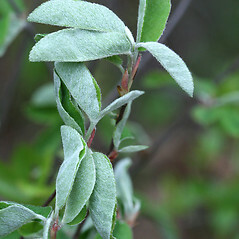 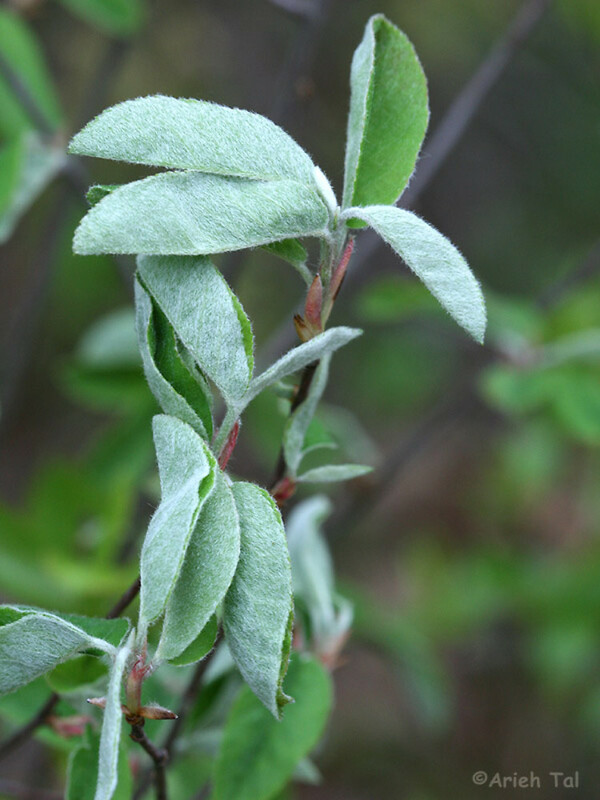 Wiegand (1912) regarded the name Amelanchier spicata as applying to a hybrid, this based solely on height measurements of plants growing in a garden setting originally taken from Canada (Willdenow reported 2–2.5 m tall). 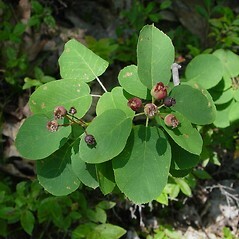 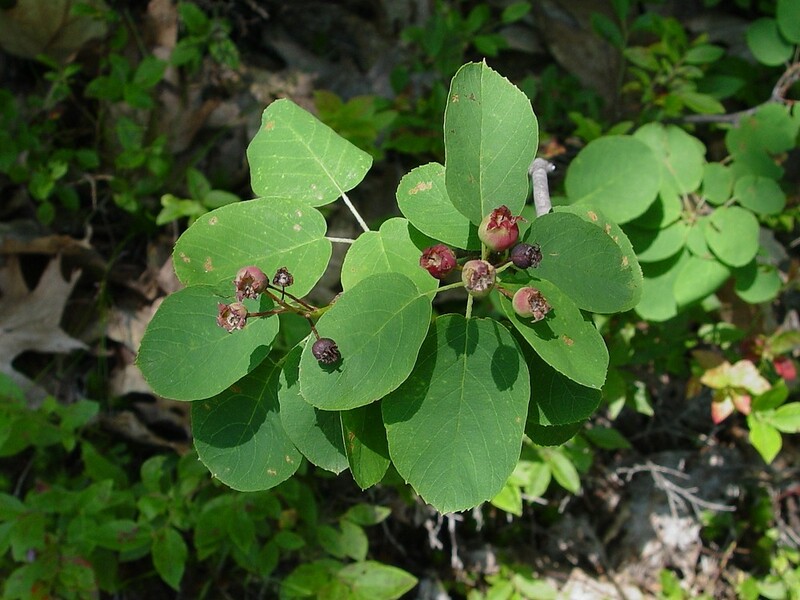 Therefore, he named our eastern North American species A. stolonifera. 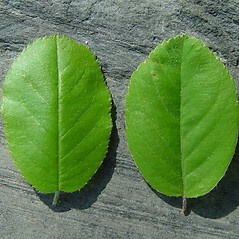 Plants growing in a garden setting should not be used as evidence for inapplicability of a name, especially considering many plants grown in a garden setting are more robust than their wild counterparts (in fact, I have observed this species in a garden in ME where it does grow taller than in the wild). 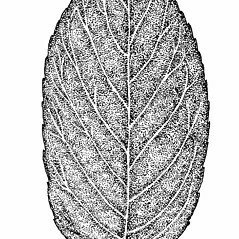 Jones (1946) examined the type specimen and concluded that A. spicata and A. stolonifera were conspecific (observations of type specimens are directly applicable to choice of names). 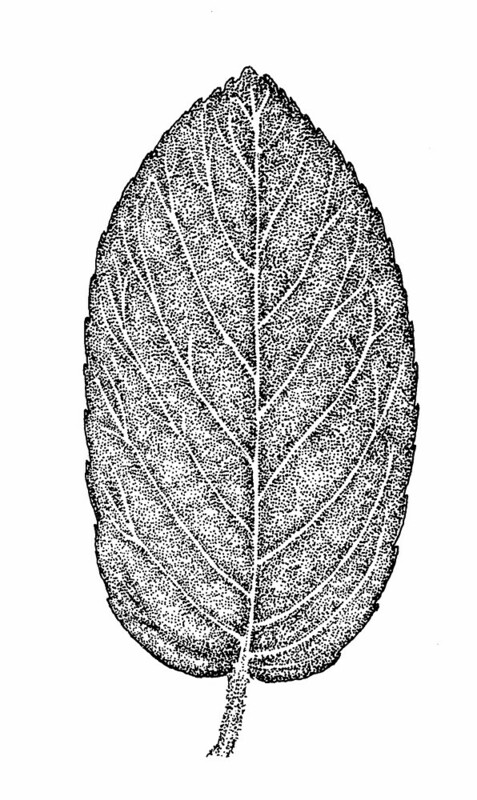 Wiegand also conceded that the type specimen of A. spicata agreed well with A. stolonifera. 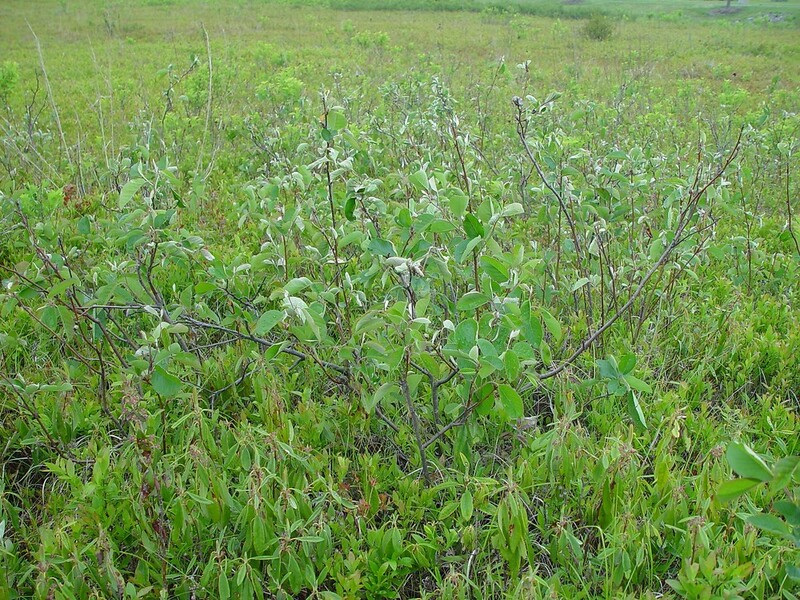 Therefore, I follow Jones in using Lamarck’s epithet for this well-known shadbush ( A. spicata).